Attend a candidate event to hear why Kristi is running, what her views are and how she anticipates legislating. If you would like to schedule an event in your home or business, please use the response form below or send an email to info@krististlaurent.com. Bring a friend and an open mind. Regardless of your party affiliation, you will find a candidate willing to work for our shared goals and priorities. Village Bean, Windham 8:30 - 9:30am. Please indicate the event date you would like to attend and you will get a response with address and directions. Or, request the Signup Genius link or other assistance to schedule an event in your home. 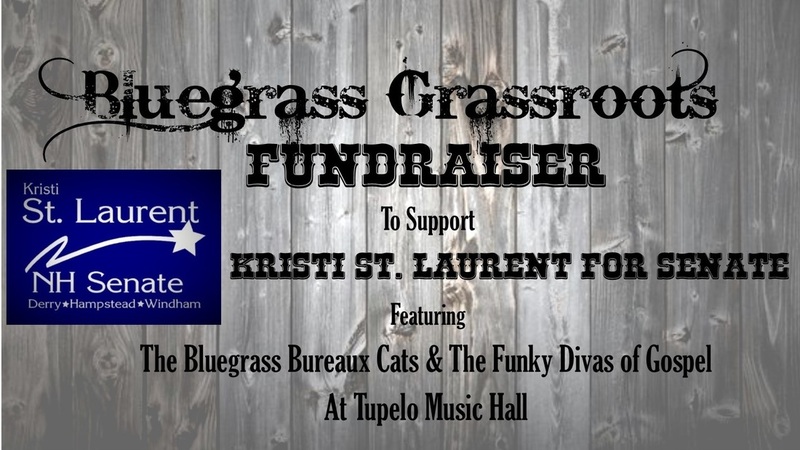 Great night of music enjoyed by all while raising funds for St. Laurent for Senate. If you missed the event, you MUST check out the video. Then, show appreciation for great music, and a great candidate by contributing here. MANY thanks to The Funky Divas of Gospel and The Bluegrass Bureaux Cats for sharing their amazing musical talents with us!! Guests were treated to amazing, fresh dishes from local chefs as they watched the steps needed to prepare the food. The night was a huge success thanks to Neelima Gogumalla, owner of Creative Chef Kitchens, for hosting and to the wonderful chefs: Kasia Lojko of All Real Meals, Kelli McKoy of First Bite Catering, Chef David and Messy Mike! Friends and supporters enjoyed a great night of food and music. There were several new faces in the crowd as guests brought their friends to the campaign. While politicking was kept to a minimum with the speech only a few minutes long, there were great conversations converging on common ground.